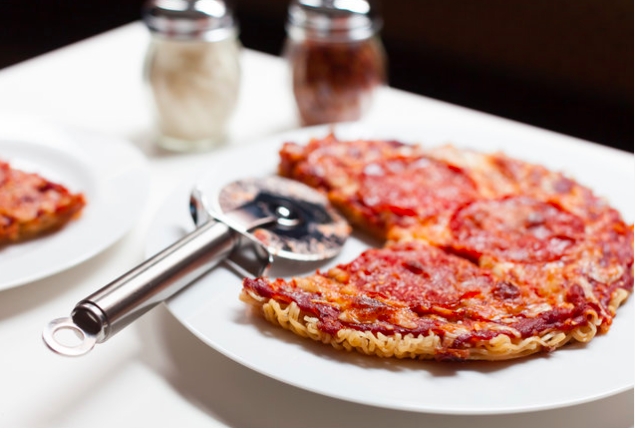 Say goodbye to that plain old cheese pizza and boring bowl of ramen. We get it. After only so long, your late-night food game gets a little dull, and the same old order of Domino’s cheesy bread just doesn’t make the cut anymore. They say college is a time for exploration, and we could not agree more. It’s time to spice things up. We found nine recipes for ridiculous eats—college style—designed to amp up your late night game. 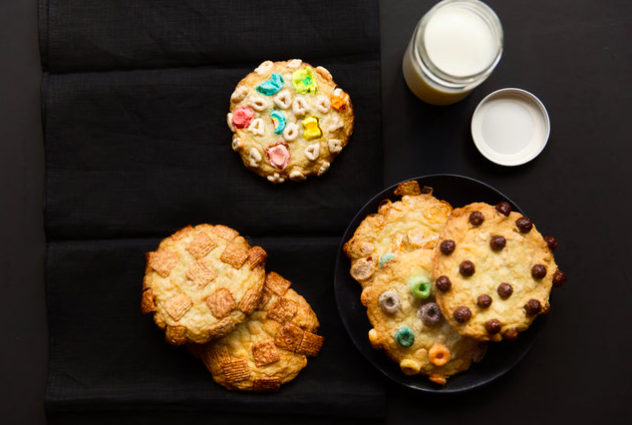 Say sayonara to your drab college food staples and hello to these do-it-yourself wacky eats. Savory pepperoni, cheesy icing and garlic butter all swirled into a fluffy crust. 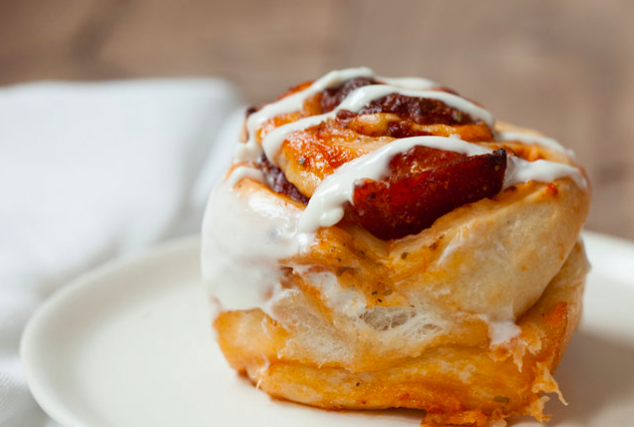 Sunday morning brunch just got an extreme makeover. Get the recipe here. Tortillas are so overrated. 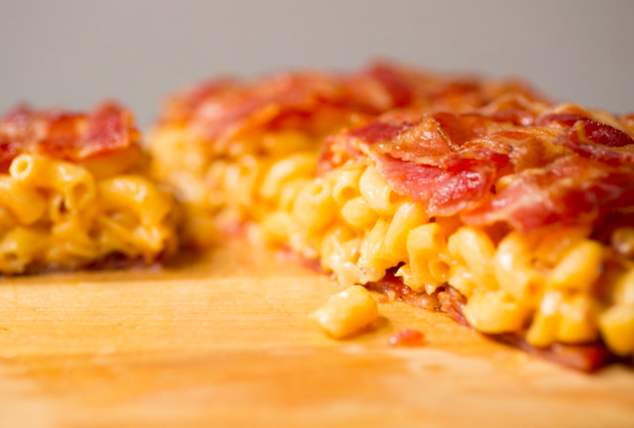 We think your favorite mac n’ cheese should be oozing between layers of thick crispy bacon. Learn how to do it here. Dreams really do come true. Everything a college student could want in one crispy, gooey slice. Get the recipe here. Crunchy on the outside and creamy on the inside—with a little bit of added zest. Since when did mac need a fork anyway? Here’s how to do it. 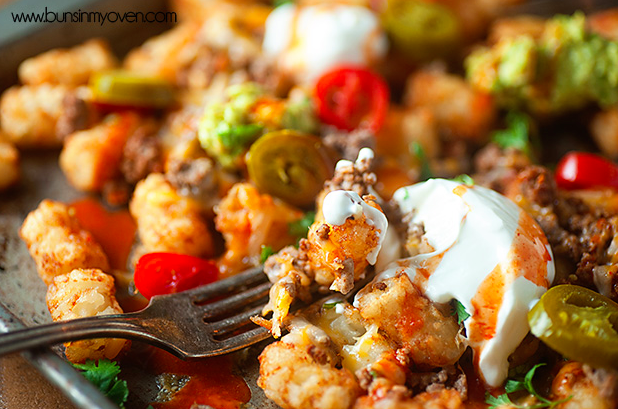 Holy guacamole, these tots are on fire. Breakfast nachos are the new thing, and with some over-easy eggs to add Instagramability, you’re in action. Get the recipe here. Chocolatey, peanut buttery or fruity—take your pick. 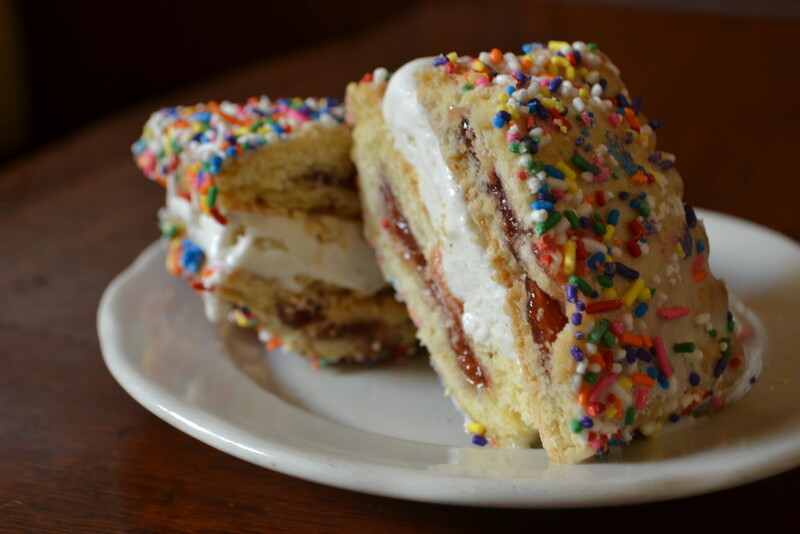 Any flavor combo creates the ultimate sammy, and these will really get your taste buds tingling. Get the recipe here. Because what else would you do with that leftover box of pizza? Put these in your soup or salad for a nice hungover treat. Get the recipe here. Obviously acceptable for breakfast. Get the recipe here. It’s time for Grandma’s 60-year-old potato pancake recipe to be put to rest. 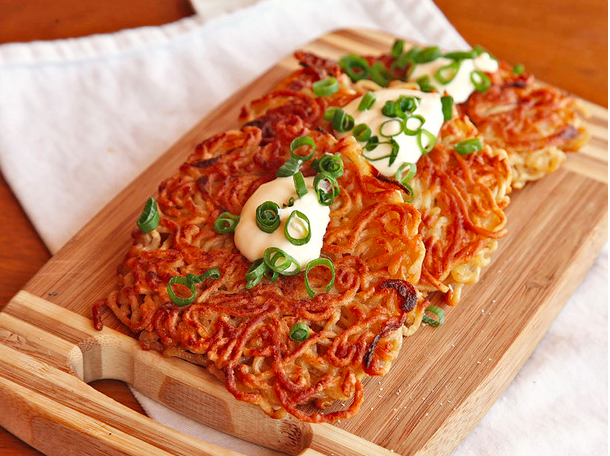 These ramen latkes may just become the next greatest Hannukkah tradition. Get the recipe here. 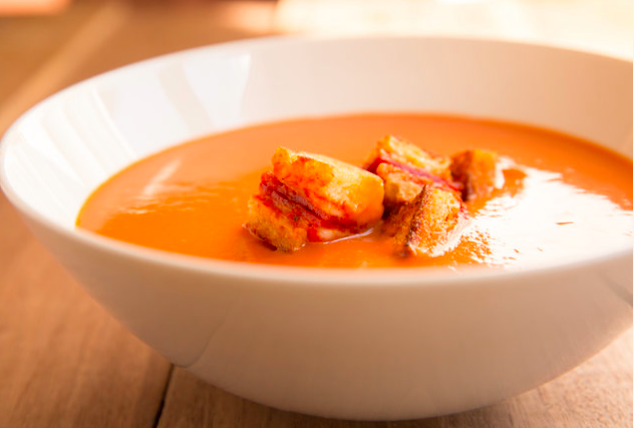 No college student should have to settle for boring foods. Stop sticking to the basics, and get creative. 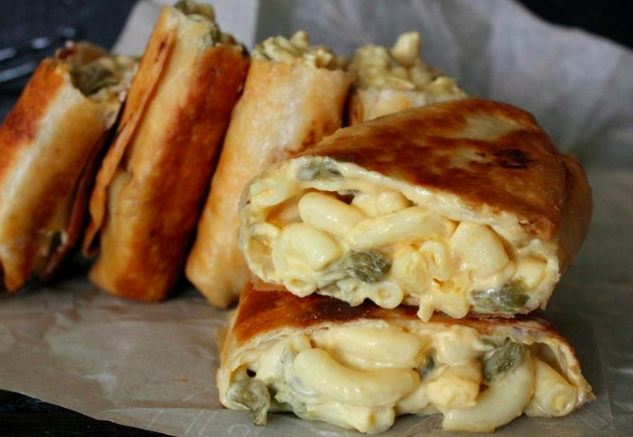 We promise these foods will make your apartment or dorm the next late-night hot spot.